Idea Ultra II and Idea !d 1000 has been officially launched by the company. The new Ultra II and !d 1000 are 3G enabled smartphones with entry level specs and runs on Android 4.2 Jelly bean OS. 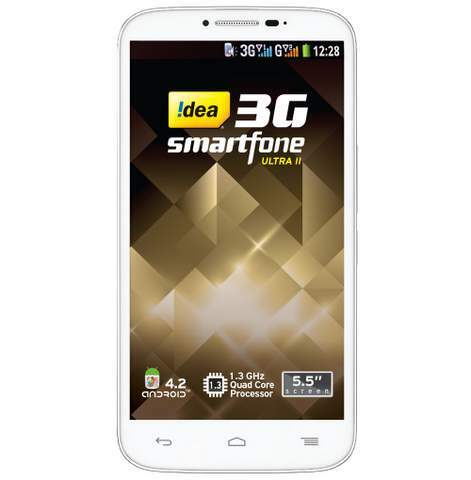 The phones are targeted at youth, with 3G Idea Cellular DATA service in the focus. Both the smartphones have DUAL SIM support with Dual standby. The Ultra II has 5.5 inch 960 x 540 pixels qHD IPS display, 1.3GHz quad core processor and 8-megapixel primary shooter with Flash & 2MP secondary imager. It houses 2500 mAh battery, which seems to be good for normal usage. It has 1GIGS of RAM, 4GIGS of ROM and 32GIGS of expandable storage. 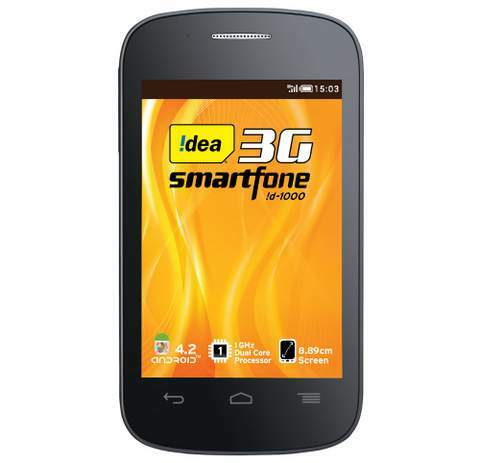 The Idea !d 1000 features 3.5 inch 320 x 480 pixels display, 1.0Ghz dual-core processor and 2-megapixel camera. There is 512MB of RAM and 4GB internal storage. To make the phone alive there is 1300 mAh battery. Apart from main specs both features FM radio, WiFi, Bluetooth and GPS. The Idea Ultra and !d 1000 are priced at INR 12500 and INR 5,500. The company would offer free DATA, although no official info on the same.